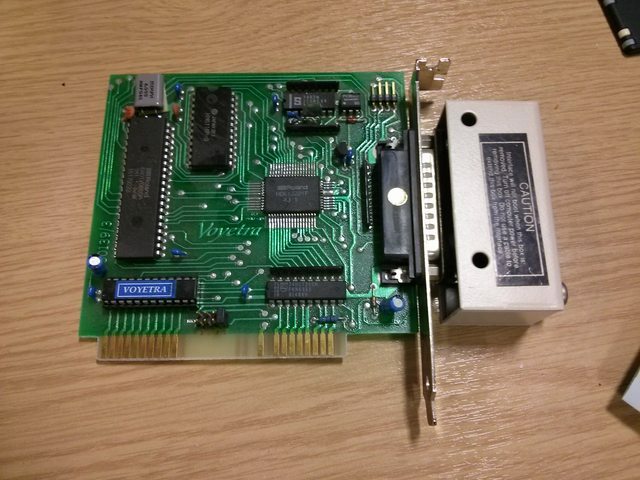 Wanted to move my DB50XG from the Socket 7 machine to the MX300 in my Socket A machine... that removes the reason to have the YMF card in there. Plus it's another card to test with SoftMPU and was relatively cheap... £20ish. Cool! I was wondering who snatched this @ a bargain price. 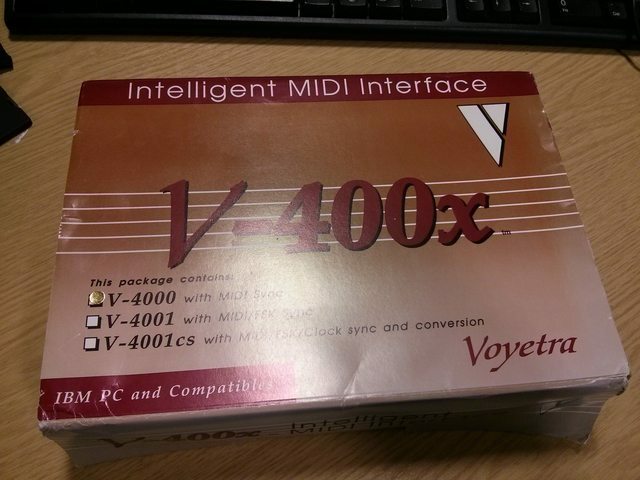 bjt wrote: Voyetra V-4000 intelligent MPU-401 interface. Looks like the IRQ is configurable but the port is hardwired to 330. 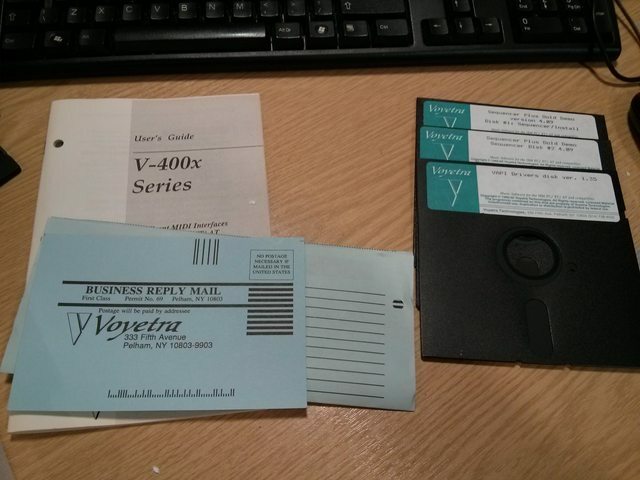 I have one of those (no software), any chance you can image the floppies? Yep, no problem. I should get a chance early next week. Guilty as charged on the eBaying Seems like UK only items go for less than EU-wide. Yep: there is a limited demand for vintage PC stuff in the UK from my personal observation. This LAPC-I is the perfect example: http://cgi.ebay.co.uk/251567515821. As were the 3 LAPC-Is I bought in the UK for USD 300 a piece last year. bjt wrote: Seems like UK only items go for less than EU-wide. These where not USED, they actually looked brand new (i guess some old stock) now i have 4 of those overdrive 83mhz here. Thats quite a lot of good video cards for a small price. 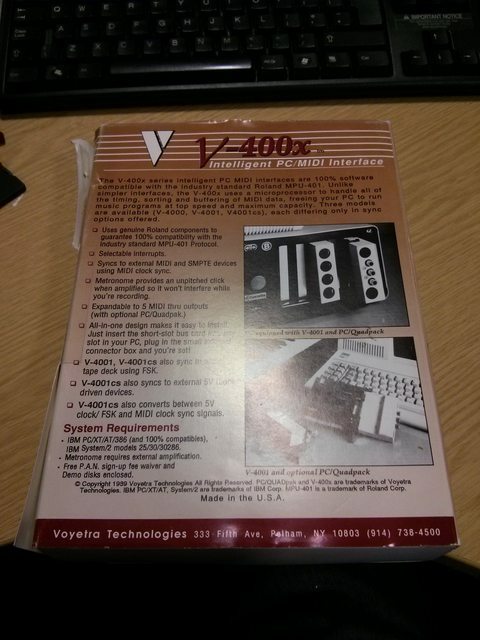 Do you have a memory upgrade for that 600XL? Atari DOS doesn't work with 16k. ^ What are the main differences between DB60XG (DB50XG)? Stojke wrote: ^ What are the main differences between DB60XG (DB50XG)? > Daughter board to be built in the KORG NX5R, there is only way to get that, removed from the KORG NX5R is basically how to obtain. > The difference between DB50XG, the area of ​​the card, the card area is reduced, versatility is up. BSA Starfire wrote: and the rest. Stojke wrote: Thats quite a lot of good video cards for a small price. Only the big question here is, how much procent are really usable? I think most of them are really budget cards.. That only give you an screen image, but performance wise its nothing. It's not all bad, AGP Radeon HD4650 512Mb is working well, Also AGP Quadro FX 6800, Radeon 9800 Pro, 9800 XL, 2 GF4 Ti 4400's, 2 3DFX Voodoo 3 3000's, PCI Matrox G450 32mb, PCI 5200 256mb. AGP Rage 128 ultra, AGP 5900XL. This is just what i have tested so far, not far in, will take a good few evenings to get through this little lot! BSA Starfire wrote: ...It's not all bad, AGP Radeon HD4650 512Mb is working well, Also AGP Quadro FX 6800, Radeon 9800 Pro, 9800 XL, 2 GF4 Ti 4400's, 2 3DFX Voodoo 3 3000's, PCI Matrox G450 32mb, PCI 5200 256mb. AGP Rage 128 ultra, AGP 5900XL. Yikes! Not bad at all!